The DuVersity is but one of many enterprises concerned with 'Making a New World' (to use John Bennett's phrase). There may be a great number of them and many we have no knowledge of at all; but we have made contact with a few of them and hope that this can grow. For the moment, we present here a compendium of people with whom we feel connected - and they with us - in ways that bypass ideologies and belief systems. We have a history with these people and have worked with them in some way over the years. The list is far from complete and we hope it can grow. Anthony Blake, Director of Studies and co-founder of the DuVersity, has worked with all of the affiliates in some way or other and known them personally. It is for this reason that we have not included such major over-arcing influences as Gurdjieff whose passionate and wild all of everything genius is perhaps the most influential of all. Gurdjieff was, after all, the major influence on John Bennett. Also not included are such geniuses as G. Spencer Brown, author of Laws of Form, an English mathematician who understood the logic of distinction like no other, and Charlotte Bach whose ideas on evolution and the alchemical quaternary are without parallel. Anthony was privileged to study with them. There is also Henri Bortoft influential author of The Wholeness of Nature and Simon Weightman Head of Religious Studies at SOAS, London University, who were both students of John Bennett and friends of Anthony but have not been engaged in DuVersity projects. The following gives an overview of friends and influences, divided into four strata for the sake of suggesting a structure of their meaning. John Bennett (1897-1974) remains the greatest influence. It was his magnum opus The Dramatic Universe - DU for short - that gave us the inspiration for the DuVersity. He was a key expositor of Gurdjieff's ideas but a creative visionary in his own right. He developed the disciplines of systematics and structural communication as well as techniques of inner development that are integrated into our methodologies. He embraced the three main streams of influence - of science, psychology and traditions - that are discussed later in explaining the pattern of influences. Bennett researched a spiritual psychology, which we take as a point of departure. Anthony Blake worked with him over 15 years. 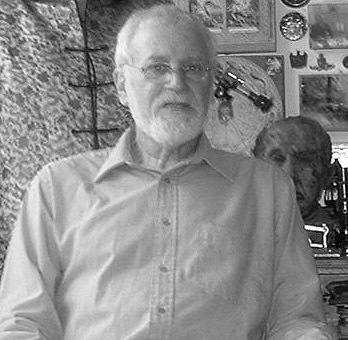 Ted Matchett (1929-98) was a friend of Anthony over 25 years. Ted was a design engineer who transcended the confines of industrial design to develop methods of creativity of astonishing spiritual genius. Many DuVersity members revere him. Edith Wallace (1909 - 2004) was a pupil of both Carl Jung and John Bennett. Her 'playshops' under the title Continuing the Quest are managed and assisted by Karen Stefano and use the method of tissue paper collage that she first developed while at Bennett's International Academy at Sherborne. Joseph Rael is a shaman embodying both Ute and Pueblo traditions. He is an visionary artist and inventor of dances, but also a master of the Tiwa language of metaphor. He guided a DuVersity tour of sacred sites in the South West in 2001. His kindness and spirit has been of great support over many years. John Allen met Bennett and Blake around 1970. He was the visionary creator of the Biosphere 2 project in Arizona in part conceived, built and managed through Bennett's systematics. A dramatist and poet he has been of constant stimulation over many years and continues to meet and dialogue with Anthony. 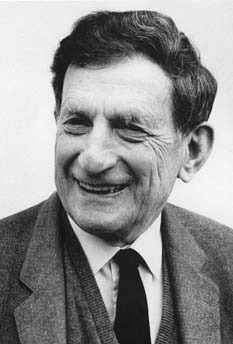 David Bohm (1917-1992) was physics tutor to Anthony Blake and dialogued with Bennett (1962-4). He was a leading proponent of the dialogue process. His ideas continue to inspire and guide our work. Patrick de Mare has had 60 years of experience in working in groups, including working with Foulkes and the Tavistock Institute of Human Relations during the Second World War. When Bohm's psychotherapist, he introduced him to his ideas on dialogue, which were later developed into the ideas of koinonia (impersonal fellowship) and the median group (between the small and the large), which we have incorporated into our own programs. Gordon Lawrence developed the Social Dreaming Matrix that we use in the Working Group method. We will have two video-dialogues presenting him and Anthony in conversation about the Matrix. 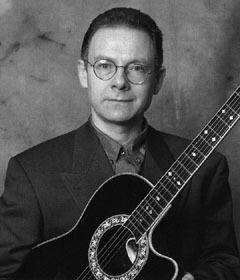 Robert Fripp leader of the group King Crimson developed an extraordinary training called 'Guitar Craft' that introduced hundreds of people to 'the work' by practical and artistic means. He brought his 'Soundscapes' to the first Baltimore seminar-dialogue and has remained a wonderful friend for many years. Warren Kenton is a leading light of Kabbalah in the UK and someone we have known for almost 30 years. First trained in the Gurdjieff work he has been sympathetic and helpful to us. 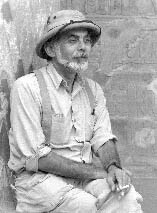 John Anthony West is a leading Egyptologist and guided a DuVersity tour into the sacred sites of Egypt in 2000. William Pensinger is author (with his wife Nha Trang) of the outstanding novel Moon of Hoa Binh and many papers on the underlying deep structure of reality beyond and encompassing object and subject. Richard Heath was our guide in the Enchanted Albion logosafari. Author of Matrix of Creation and Sacred Number, he works with Anthony Blake and John Varney on the development of LogoVisual Technology (LVT) that was based on the Structural Communication and Systematics created by John Bennett. Stanley Crouch jazz writer, novelist and script-writer. Priestess Miriam head of the Voodoo Church in New Orleans. Candice Peart biochemist and author of Molecules of Emotion. Eliyahu McLean active in peace work in Israel. Mae Wan Ho leading geneticist and author of The Rainbow and the Worm, which presents a new theory of life. Jack de Johnette drummer extraordinary who works on using sound in healing with his wife Lydia. Jason Kheen expert in rave culture affiliated to Fraser Clarke pioneering leader of alternative culture in London, UK with whom Anthony video-dialogued in 2002. Other affiliates are less well known but are an essential corpus of friends with a variety of talents and contributions. The list is open-ended and we apologize for omitting anyone you think belongs. Not least we should mention our Board members: James Patton (systematician), Karen Stefano (Secretary-Treasurer and Program Co-ordinator) Craig Wells, Jane Maroney and Richard Knowles. Board member Ben Hitchner was instrumental in putting us in touch with Joseph Rael and others from the Shamanic traditions of the American continent. He has been foremost in working on our project to apply systematics to Globalization. We should also mention our debt to Jerry Toporovsky, who enabled us to run programs in Baltimore at his Center for Holistic Health and over a long period of time has been a supporter. John Kirby was a leading pupil of Ted Matchett and is a leader in conveying the message of the Virgin Mary. 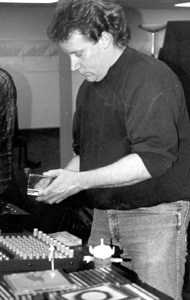 Steve Mitchell is a highly original writer and theatre producer who supported us in the early days on the media front and helped develop the method of trialogue. Jason Joslyn is a software designer who is working on new ideas of logovisual technology. 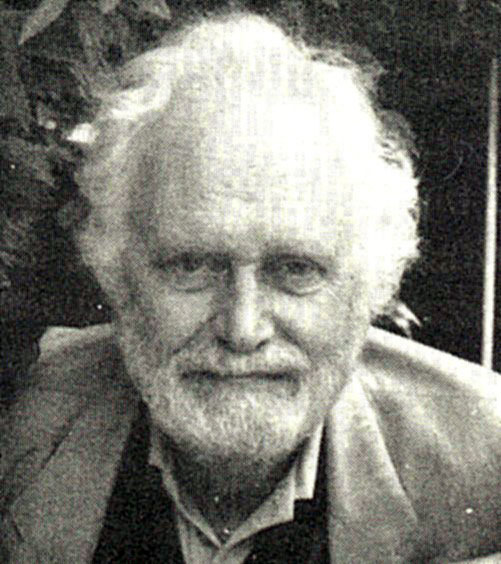 Wim van Dullemen is the leading performer of Gurdjieff's music and a teacher of his Movements or 'sacred dances', which are built into many of our programs. Wim has been making CDs of Gurdjieff's music for the Movements. Gert-Jan Blom produces these CDs and is presently concerned with issuing Gurdjieff's own music, played on the harmonium, and also CDs of the orchestral music for Movements that dates from 1924. Saul Kuchinsky took upon himself the fostering and development of Bennett's systematics and labored many years to make this work known. Sadly, he died in March 2002 but we want to remember the debt we owe him. Active Imagination This site contains numerous links to articles and discussions of Jung's method of active imagination, some of which relate to the use of art as in Edith Wallace's Tissue Paper Collage method. tissuepapercollage Description and history of the technique with illustrative material by Karen Stefano. J G Bennett This is an introductory web site to the life and work of one of the most important influences on the DuVersity. Wilfred Bion This site gives an introduction to the life and works of one of the greatest psychoanlysts who was a pioneer in the investigation of group process. By the Way Books Lists Fourth Way and related titles available from this source, including works by Anthony Blake. The Biospherics Project This site gives background and current information on this emergent science as devloped by John Allen and his team. Center for Self-Organizing Leadership This is Richard Knowle's site introducing his application of the enneagram to organizations and incorporating the ideas of self-organization. Robert Fripp An introduction to this remarkable modern musician, who is a friend of the DuVersity and has contributed to some of our events. The Gurdjieff Home Page This site provides links to documents on the Internet that relate to Gurdjieff or his teaching. The Meru Foundation Meru links to a site introducing Stan Tenen and the Meru Foundation which is devoted to fostering some brilliant creative work on the structure of the Hebraic language. William Pensinger Ideas relating to the remarkable novel The Moon of Hoa Binh and its authors William Pensinger and Nha Trang. William has taken part in One of the DuVersity seminar-dialogues on All and Everything. William Sullivan This links to the work of William Sullivan on astroarchaeology in South America. William led our logosafari to Peru and the Inca civilization. 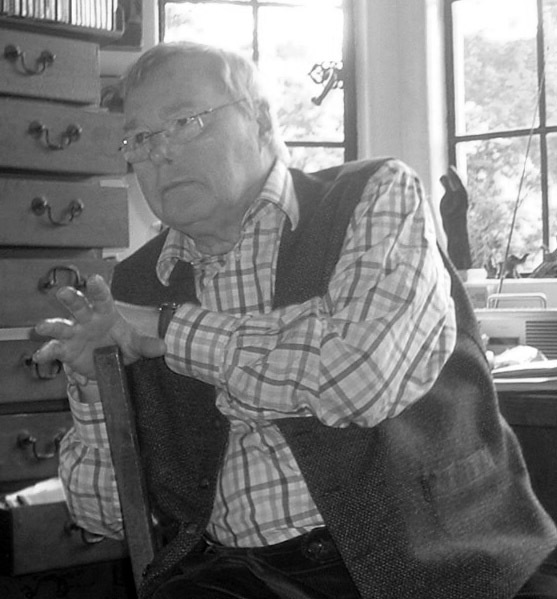 Systematics Devoted to the ongoing development of Systematics as explored by John Bennett in his major work The Dramatic Universe. With extensive archival material, including a Compendium of relevant sources. A. N. Whitehead Gives a brief introduction to Whitehead's life and work, maintained by the School of Mathematical and Computational Science at the University of St Andrews in the UK.